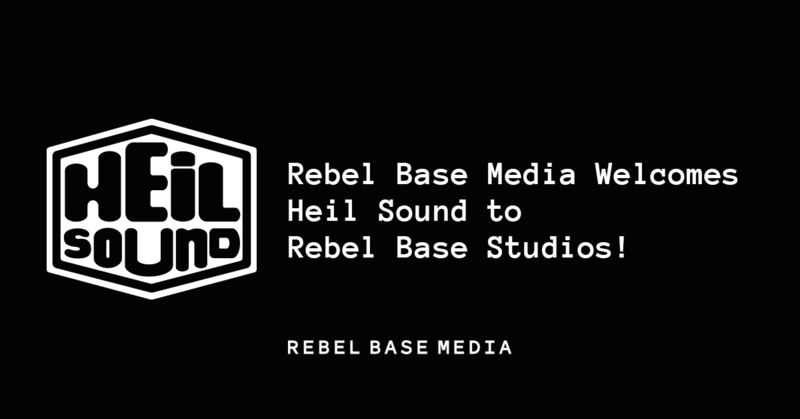 Rebel Base Media Welcomes Heil Sound to Rebel Base Studios! My friends Jessica Kupferman, Kieran (Rebel Base Media CTO) and I had a chat before Christmas about the new podcast studio we’re building based in Sheffield, U.K., Rebel Base Studios, and how we could make it the very best experience for podcasters in the U.K. Opening in February 2019, the studio has already taken bookings from some of the country’s leading podcasters and as Jess, Kieran and I spoke we brought to the fore an idea that we’d had a while ago to give the UK podcasters the very best equipment and sound within our studio that we could. We made the decision to kit out the studio with only the very best and when we began talking about the microphones we’d like to use, there was only ever one choice: the Heil PR 40. So, we gave our long-time friend Michelle at Heil a call and spilt the beans on what we’re up to both now and moving into the next three years; how we’re creating the most approachable and friendly podcasting space in the U.K. and how we’re underpinning that with the values that make everything that we produce focussed on helping podcasters to grow and thrive. That’s when Michelle told us that Heil would love to be involved and so, I’m really excited (and more than a little bit proud) to be able to announce that from today, Rebel Base Media and Heil Sounds are working together to bring the highest quality production levels to the U.K. and that each of our Rebel Base Studio recording booths will be fully equipped with the industry standard, instantly recognisable Heil PR 40 microphones along with Heil Pro Set 3 headphones. Ever since I started in podcasting, the Heil PR 40 has been the “best of the best”, the microphone that new podcasters aspire to, created by a company that does business like we do here at Rebel Base Media: with the goal of helping podcasters to succeed. In addition to Rebel Base Studios featuring the Heil PR 40 and Heil Pro Set 3, our mobile recording booth which will be making its first appearance at Atomicon by Andrew & Pete, will also feature the same industry-leading equipment.